My ITMI Tour Director class stopped at Sequoia National Park and we walked around for about an hour. One of our classmates gave his five-minute presentation there (instead of on the motor coach) because his topic was the difference between giant Sequoia trees and Redwood trees. 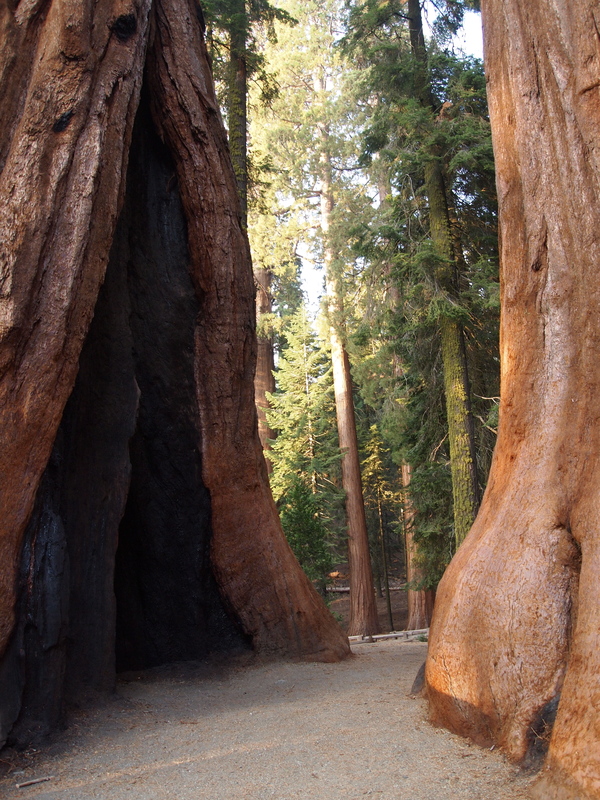 Loving photography as I do, when we arrived, I’m rushing here and there taking photos of these amazing Sequoia trees. When it was time for his presentation, he got choked up trying to impart his emotions concerning the magnificence and wonder of these living things. He made me stop and really think about how blessed we were to be standing there amongst the largest and oldest living things on the planet. To think that some are approaching 3,000 to 4,000 years of age is simply amazing! 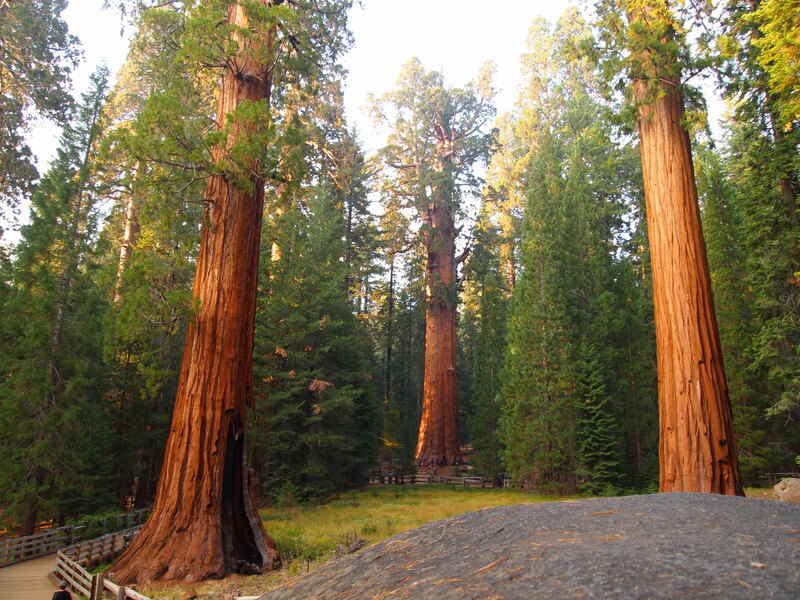 The giant sequoia is the largest tree in the world in volume and has an immense trunk with very slight taper; the redwood is the world’s tallest tree and has a slender trunk. 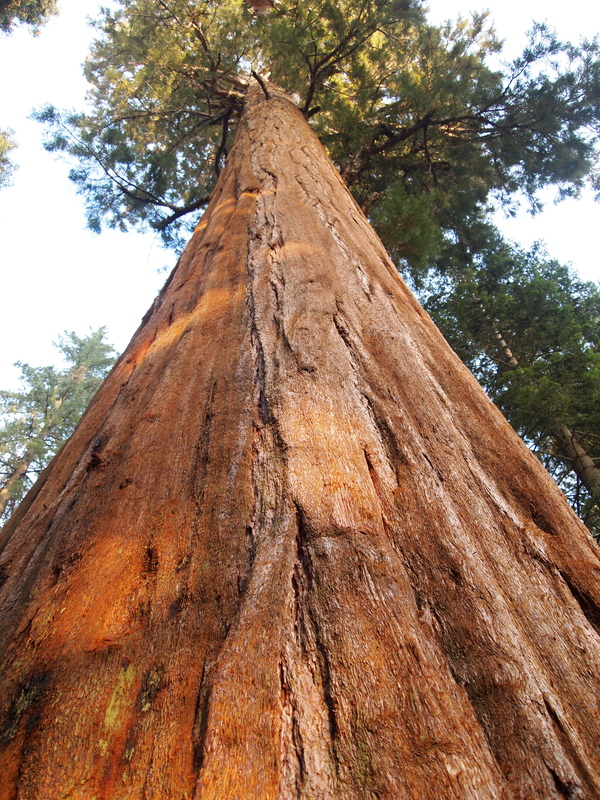 Sequoias reach around 300 ft. and redwoods up to 364 ft. 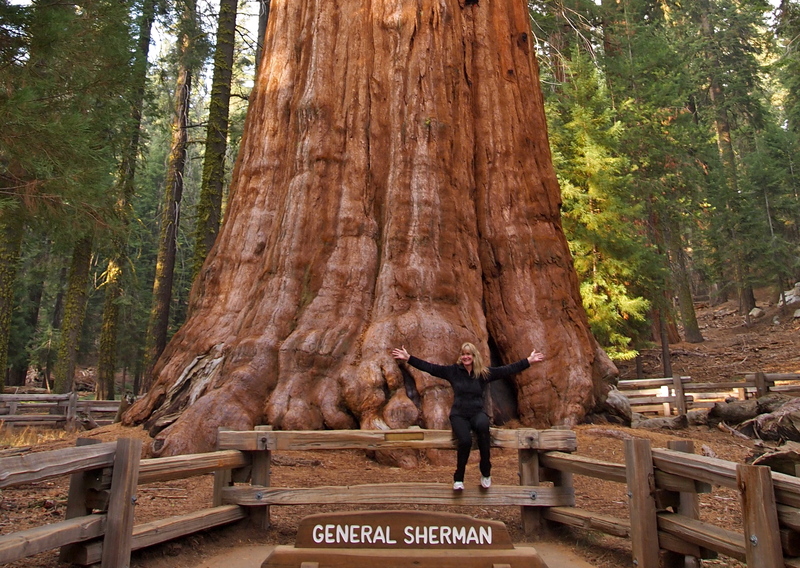 The General Sherman tree is the largest living thing on the planet! It’s fun to learn something new! Great pictures ma’am, thank you for posting them. Don’t you ever wish trees could talk? Imagine the things old General Sherman must have seen! Yes! But, before that, I wish I could become invisible so I could listen to conversations. I know, I’m bad! Wow! The size of those trees!! They are massive and majestic!! Gorgeous photos! I’m a California native, and those trees make me very proud of my home state! They are spectacular! You should be proud!! A really beautiful park. I went here a year ago and loved it. Ended up staying for a long weekend. What fantastic shots of these amazing trees! I recently learned that the reason they can’t grow any taller is because of the Earth’s gravity. I stopped to take in their majesty about 40 years ago…They’re awe-inspiring! Thanks for sharing! Ha ha! They are so majestic…amazing! Thanks for stopping by. Wow on the size of the trunk !! 😐 😐 Awesome !! The trees are remarkable. I have not been to SNP in a long time–thanks for the visit and the nudget to get back there again. What grand trees! Thank you for the view.